Berry writes in thanks for a gift from the Ohio Society Daughters of the American Revolution that completes an endowed scholarship. 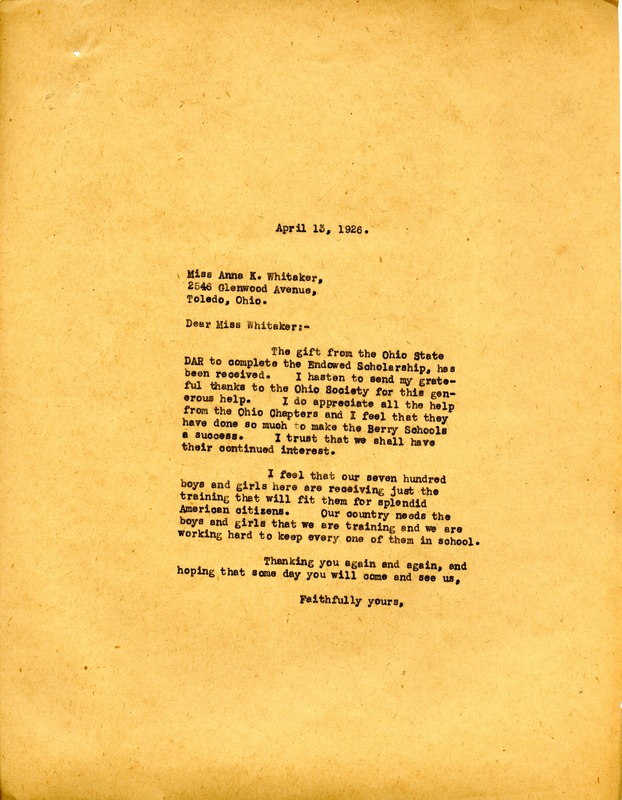 Martha Berry, “Letter from Martha Berry to Anna K. Whitaker.” Martha Berry Digital Archive. Eds. Schlitz, Stephanie A., Sherre Harrington, et al. Mount Berry: Berry College, 2012. accessed April 22, 2019, https://mbda.berry.edu/items/show/2181.